The world’s most rich and powerful business and political leaders will descend on Davos, Switzerland, on Tuesday, as the annual gathering of the World Economic Forum begins. The annual summit in the Swiss Alps takes place over four days. Celebrities, academics and members of the media are often invited to promote causes they support. President Donald Trump was the main attraction in 2018 but will not be attending this year. “Out of consideration for the 800,000 great American workers not receiving pay and to ensure his team can assist as needed, President Trump has canceled his delegation’s trip to the World Economic Forum,” White House press secretary Sarah Sanders said in a statement. 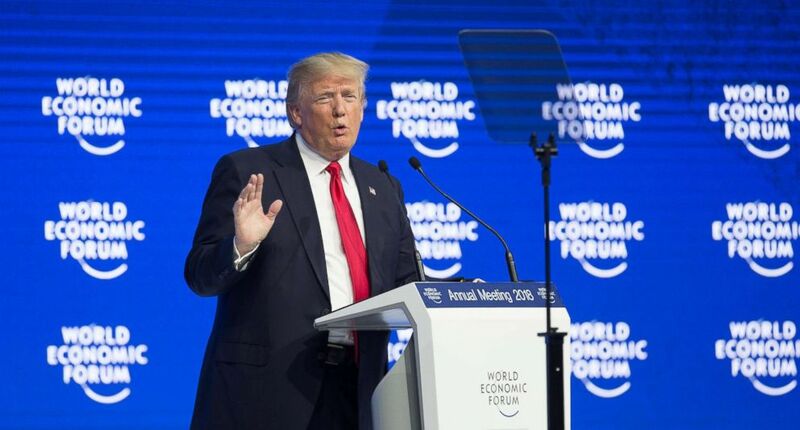 President Donald Trump delivers a speech during the 48th annual meeting of the World Economic Forum in Davos, Switzerland, Jan. 26, 2018. This year’s summit may be more notable for who isn’t attending rather than who is. French President Emmanuel Macron and British Prime Minister Theresa May have also pulled of the forum due to domestic crises. May is locked in Brexit negotiations while Macron is busy steadying the ship as the Gilets Jaunes protests enter their tenth weekend. A number of famous faces, however, will be present. Prince William is expected to talk about mental health. The prime minister of New Zealand, Jacinda Ardern, will address a “range of topics” and Sir David Attenborough will discuss biodiversity. They will be joined by Winnie Byanyima, head of Oxfam International, and Rwandan President Paul Kagame. 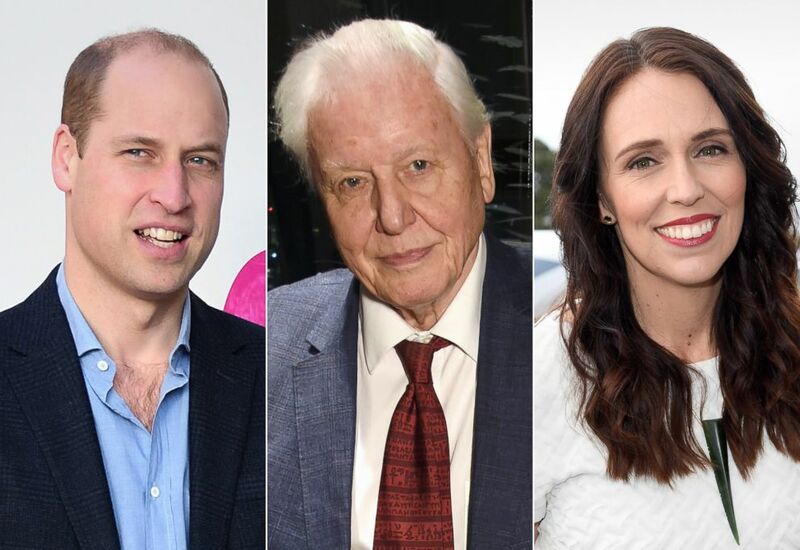 From left, Prince William, Duke of Cambridge, Sir David Attenborough, and New Zealand Prime Minister Jacinda Arden are planning to attend the 2019 World Economic Forum in Davos, Switzerland. Also attending is Brazil’s new president, Jair Bolsonaro. Around 60 percent of Davos attendees will be representatives of the World Economic Forum’s major donors – known as “industry affiliates” – according to Professor Adrienne Sörbom, author of “Discreet Power: How the World Economic Forum Shapes Market Agendas.” You can see the full list of industry affiliates here. The process of choosing who will be invited to the forum is complicated, as members “haggle” over who to invite for months. The forum has been criticized for being out of touch, according to IHS Markit economist and 10-time attendee Nariman Behravesh. “They’ve tried to move away from that, but not terribly successfully one has to say,” he added. 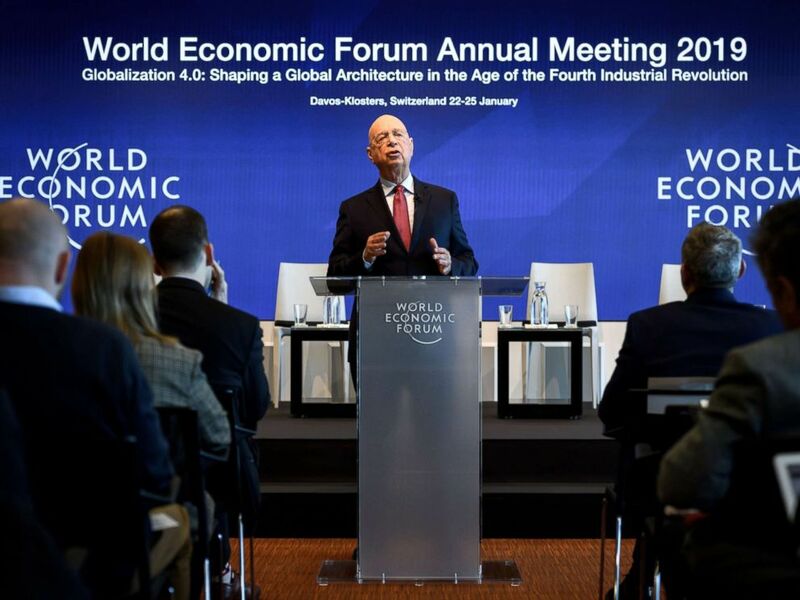 Founder and Executive Chairman of the World Economic Forum Klaus Schwab attends a press conference ahead of the 2019 edition of the annual meeting, Jan. 15, 2019 in Geneva. The official engagements take place in the lecture-hall like rooms of the conference center, but most of the business that is conducted occurs in private meetings. The bars, restaurants and cafes of Davos play host to most of these meetings. Those with primarily business interests will meet with one another, while politicians are more likely to engage in a kind of “informal diplomacy,” she said. This year, the focus is on technology. The theme is “Globalization 4.0: Shaping a Global Architecture in the Age of the Fourth Industrial Revolution.” While the central mission of the World Economic Forum is to promote free trade, in recent years issues like the environment, poverty and worldwide hunger have entered the agenda. Despite the gloom, he believes world markets are not quite on the verge of a global recession. Do we need the World Economic Forum? While the forum may be helpful in setting a general agenda, the jury is still out over how much influence it actually has.